Lousy weather, a mysterious tree disease, and a fruit fly that feasts on olives have decimated groves in Italy. 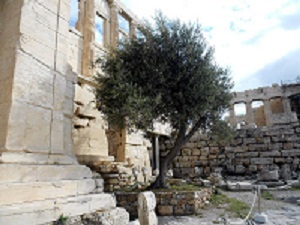 Nearly a tenth of the 10 million trees in Puglia are infected with a disease that has been dubbed “olive ebola” (some scientists believe it is the bacterium called Xylella fastidiosa), which slowly kills the trees. 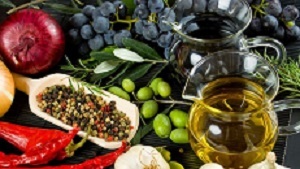 As a result, Italy’s olive oil producers are bracing for another bad season, on the heels of a 34 percent decline in output in 2014-15, to 302,000 metric tons, according to data from the Madrid-based International Olive Council (IOC). Production in Spain fell by more than half, to 825,700 tons, in the most recent season, and will likely remain depressed due to a prolonged drought. Greece saw its output more than double in the previous season, to 300,000 tons, and the local industry is hopeful it will be close to that in the coming season. Thanks to this combination of factors, Greek olive oil is more competitive than ever, at least on a price basis. According to a June report from the council, wholesale prices for extra-virgin categories from Italy and Spain have surged 114 percent and 84 percent this year, respectively, to €5.66 ($6.25) per kilo and €3.59 per kilo. In contrast, prices for Greek oil have climbed just 24 percent, to €3.09 per kilo. The price advantage is helping small and midsize producers who make up most of Greece’s olive oil industry find new markets. The IOC reports Greek exports from the most recent harvest to the U.S., now the world’s top olive oil consumer, rose 28 percent from October 2014 through June of this year, while exports from Spain and Italy both dropped more than 50 percent. Greece is home to more than 520,000 olive growers, many of whom rely on traditional methods such as handpicking the fruit. 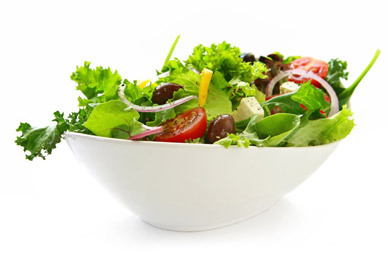 Cold pressing, where a machine crushes the olives to extract the oil without the aid of heat or chemicals, is the norm. This qualifies four-fifths of Greece’s oil to carry the higher-quality extra-virgin designation, compared with about two-thirds in Italy and a third in Spain. Gaea aims to do just that. 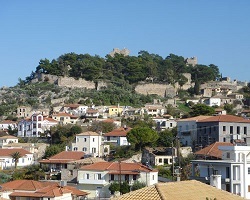 Its chief executive officer, Aris Kefalogiannis, the son of a conservative political family from Crete, started a shipping logistics company before switching to olive products in the mid-1990s. He says Gaea logs about $14 million in sales annually and expects that to rise to $16 million this year. The company has already made inroads in Germany and is pushing to boost sales in the U.S. In February it hired Neuman, who previously ran Lucini Italia, a Miami-based purveyor of Italian olive oils, vinegars, and pasta sauces. Gaea’s packaging and branding have been revamped, with an emphasis on telling the story of Greece’s traditional methods of making olive oil. The company is also adding more organic oils and packaged olives to its lineup. “Greece has the potential to be the organic grove of Europe,” says Kefalogiannis. In July, Whole Foods Market began selling Gaea’s oils and olives at many of its stores in the Northeast. “Customers are more interested than ever in tasting new varietals and experimenting with new flavors,” says Dwight Richmond, the company’s global grocery purchasing coordinator. He and others compare olive oils to wines, suggesting that U.S. consumers could create a boom across all price ranges. 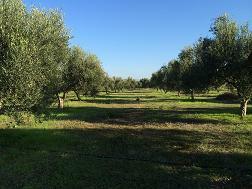 Gaea is a prime example of the “small-sized but dynamic” companies that Gregory Antoniadis, president of the Greek Olive Oil Packers Association, says are helping elevate the profile of what the poet Homer called “liquid gold.” Other companies include Eleia, Minerva Edible Oils Enterprises, and Agrovim. Antoniadis’s organization saw exports double from 2005 to 2012, and he expects them to double again by 2017. The bottom line: Soaring prices for Italian and Spanish olive oil led to this year’s 28 percent increase in U.S. imports of Greek oil. Γνωρίζουμε ήδη ότι το ελαιόλαδο είναι μια “υπερτροφή” με υγιεινά λιπαρά που συμβάλλει στην αύξηση της “καλής χοληστερίνης (HDL) και στην ταυτόχρονη μείωση της “κακής” χοληστερίνης (LDL), η οποία φράσσει τις αρτηρίες σας. Έρευνα του 2000 που δημοσιεύθηκε στην επιστημονική επιθεώρηση Free Radical Biology and Medicine έδειξε ότι το ελαιόλαδο αύξησε την αντιοξειδωτική δράση του λυκοπενίου στις ντομάτες. Αυτό συνέβη μόνο με το ελαιόλαδο και όχι με άλλα έλαια, όπως το ηλιέλαιο. Κατά 1,7 φορές έχει αυξηθεί η παγκόσμια κατανάλωση ελαιολάδου από το έτος 1990/91 έως και το 2014/15. Κατά 1,7 φορές έχει αυξηθεί η παγκόσμια κατανάλωση ελαιολάδου από το έτος 1990/91 έως και το 2014/15. Από τα επίσημα στοιχεία που έδωσε στη δημοσιότητα το Διεθνές Συμβούλιο Ελαιοκομίας (IOC), προκύπτουν πλήθος από σημαντικές διαπιστώσεις που φωτίζουν όχι μόνο την 15ετία που πέρασε αλλά και την επόμενη που έρχεται. Lascia che il cibo sia la tua medicina e la medicina il tuo cibo” disse Ippocrate. 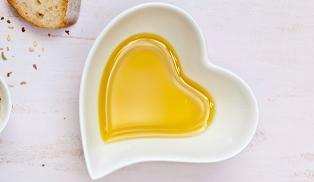 Sebbene l’olio extra vergine d’oliva non sia un farmaco, è pur vero che sono numerose le sue virtù salutistiche, legate anche alla concentrazione di fenoli biologicamente attivi. Άλλη μία επιστημονική έρευνα έρχεται να αναδείξει τα οφέλη της Μεσογειακής διατροφής για τα άτομα που ανήκουν στις ομάδες αυξημένου καρδιαγγειακού κινδύνου, όπως οι καπνιστές και οι διαβητικοί. Μια νέα έρευνα από το πανεπιστήμιο Rutgers και από το κολέγιο Hunter στις ΗΠΑ έδειξε ότι το ελαιόλαδο περιέχει μια πολύ ξεχωριστή ουσία, η οποία στοχεύει και εξουδετερώνει συγκεκριμένα καρκινικά κύτταρα. Η ουσία αυτή ονομάζεται oleocanthal (ολεοκανθάλη) και είναι μια χημική ένωση που ανήκει στην οικογένεια των φαινολών (αντιοξειδωτικά).